Interested in helping BUMAC with PR? 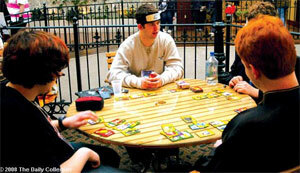 Have sponsorship opportunities available? Please contact us via our "Contact Us" page for further information. 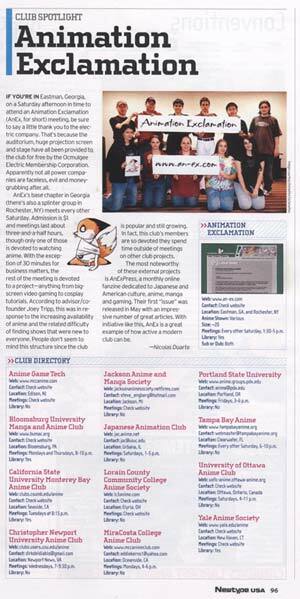 BUMAC was mentioned in the Newtype USA July 2006 Club Directory on Page 96. 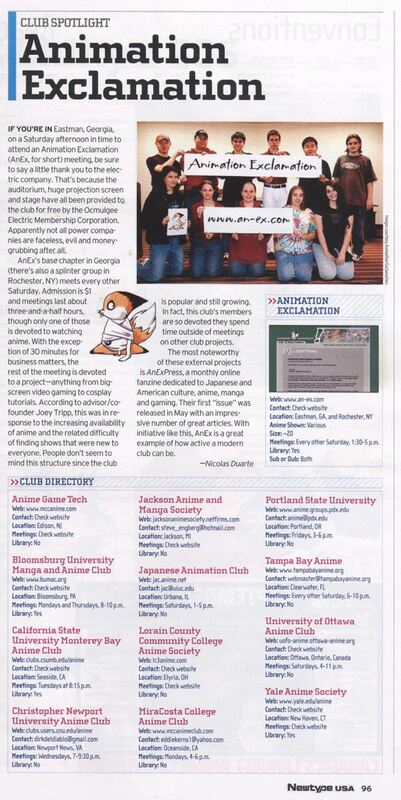 Thanks Newtype USA! 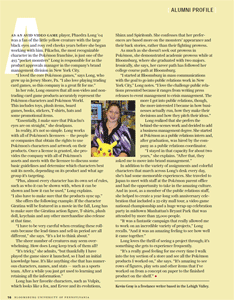 Thanks for the posting Bloomsburg University! 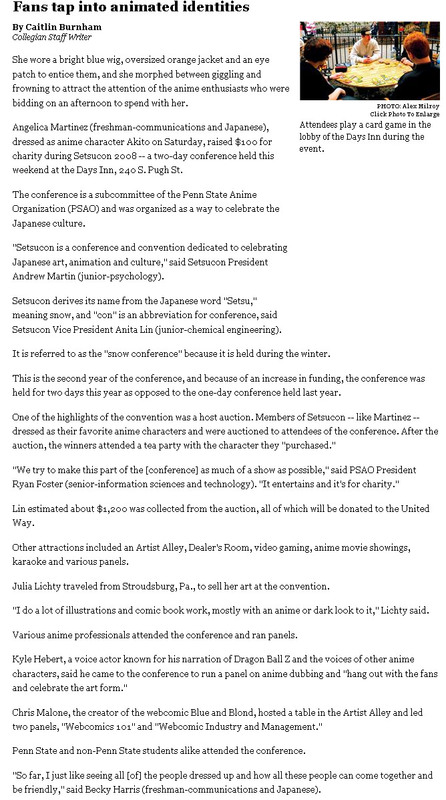 BUMAC members Fred, JD, Max, and Willy were featured in a picture from the The Daily Collegian Online - "Fans tap into animated identities" on January 28, 2008 during Setsucon. Good job! 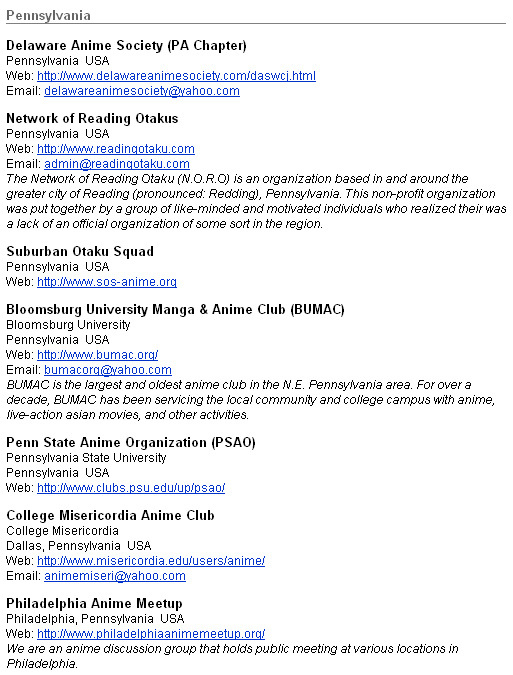 BUMAC is now listed on the Otakon Website, Community: Club Page. Thanks Otakon! 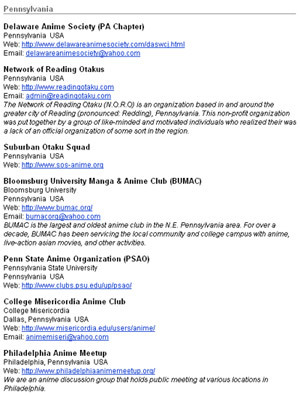 BUMAC was listed in the Otakon 2009 Program, Join a Club! 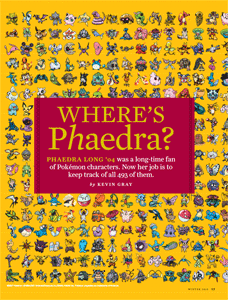 section on Page 45. 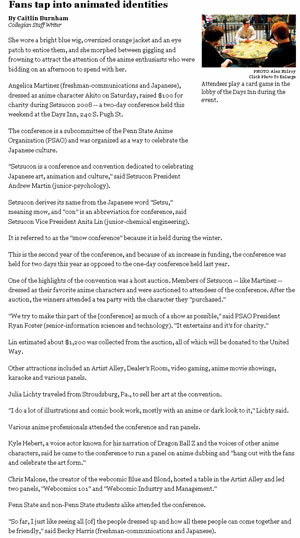 Thanks Otakon! 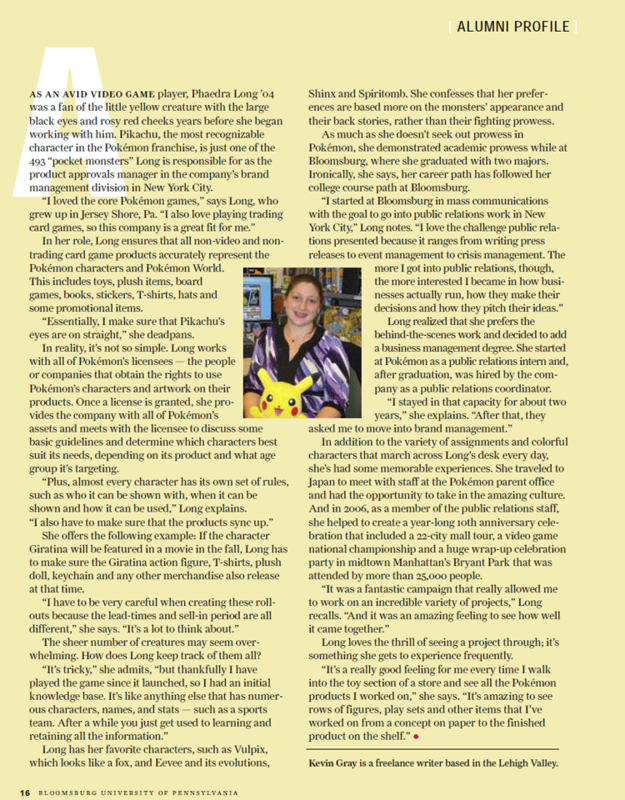 Phaedra Long '04, a former BUMAC member, was mentioned in Bloomsburg: The University Magazine Winter 2010 edition for her work in the Pokemon franchise as an product approvals manager. 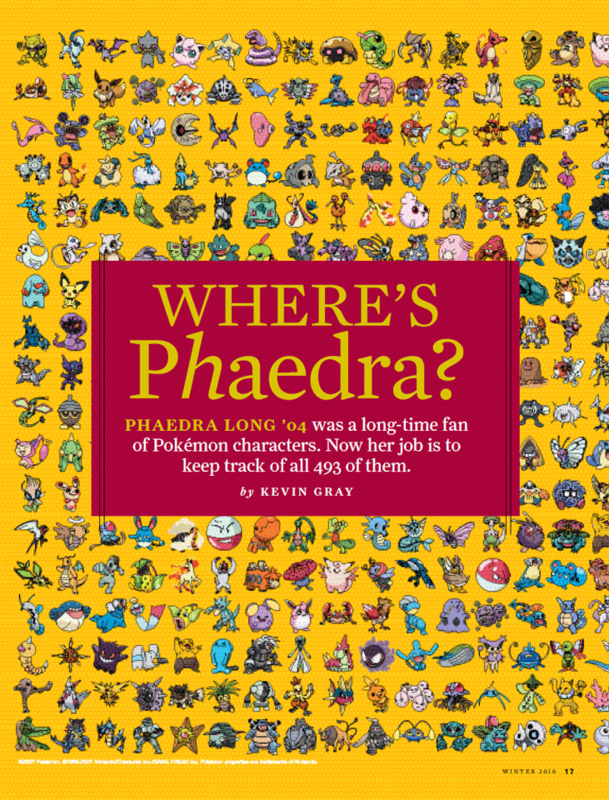 Nice Job Phaedra!